Production on Season 5 "El Señor de los Cielos" is already underway in México and in the upcoming season, new actors will join the narcoseries. According to NovelaLounge.com, Rafael Novoa and Emmanuel Esparza are two of the heartthrobs that will be added to the cast. There is no word on what characters the actors will play, but they will sure be good eye candy for viewers. Novoa is a Colombian actor that has starred in telenovelas like "El Talismán," opposite Blanca Soto and "Pura Sangre," which was remade in México by Televisa as "Mañana Es Para Siempre" with Fernando Colunga in Novoa's role. Rafael actually had a small role in the Mexican production where he shared scenes with Silvia Navarro. Other projects Novoa has taken part in are "A Corazón Abierto," the Colombian version of "Grey's Anatomy," "Alias El Mexicano" and "Sala De Urgencias." It was in the latter series that he co-starred with Emmanuel Esparza. Esparza is a Spanish actor that has taken his succesful career to Colombia. Emmanuel has been part of projects like "La Pola," "Tierra De Lobos," "Mentiras Perfectas" -the Colombian version of "Nip Tuck"- and "Venganza," which is the Colombian version of "Revenge." "El Señor de los Cielos" ended its fourth season with a major cliffhanger. The last episode of Season 4 had police break into Mónica's (Fernanda Castillo) wedding and as she was escaping authorities and trying to catch a helicopter, she was shot in the back. The last minutes had her asking Aurelio to take care of their son and audiences believe she died. 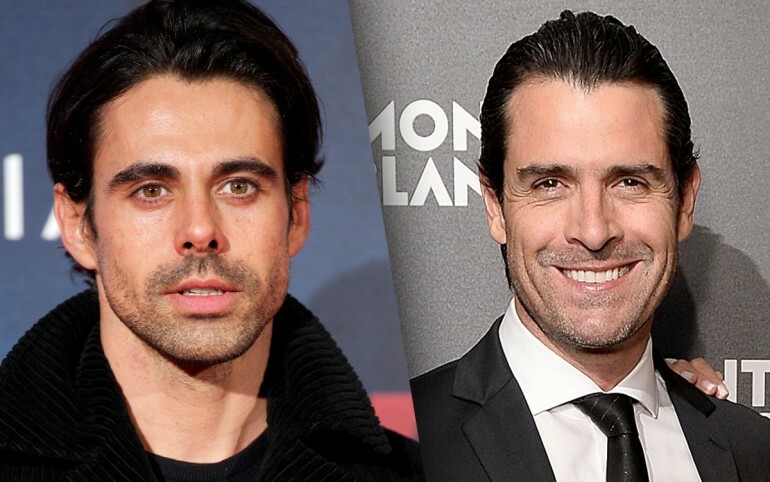 Earlier this year, Telemundo premiered "El Chema," the spin-off to the hit series. Some of the initial scenes take place on the aftermath of Season 4 of "El Señor de los Cielos." Rutila (Carmen Aub) talks about Robles and reveals that her friend is in a coma and fighting for her life. This means that Mónica is not dead yet and audiences will have to wait until the new season of the narco series to find out if she is able to get out of coma and survive to live another day.